Commerce and Lucitech, Inc. (“us”, “we”, or “our”). limitation, your name and email address and paypal connection information. The Purchases section is for businesses that sell online admission to events. posts and all copyright and trademarks attached to your content. by administrators at any time for any reason. 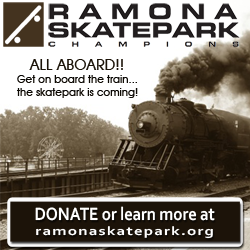 by RamonaEvents.com, the Ramona Chamber of Commerce and/or Lucitech, Inc.